Silver Tone, Blue Glitter Epoxy Dangle Fish Hook Earring Set. Drop length 1 3/4". 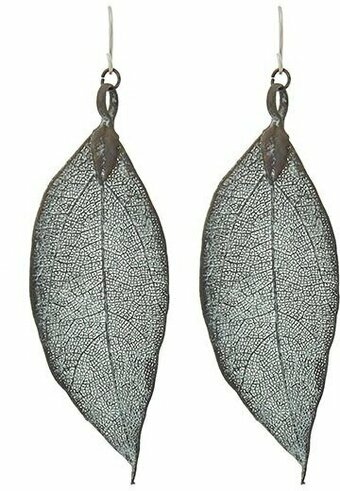 Gold Tone, Green Opal Acrylic, Post Stud Teardrop Dangle Earring Set. Drop Length 1 3/4". 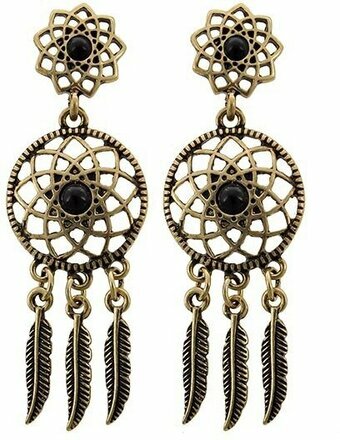 Burnished Gold Tone, Black Acrylic Post Dreamcatcher Dangle Earring Set. 3/4" X 2". Antique Silver Tone, Multi Color Shell with epoxy, Fish Hook Heart Dangle Earring Set. 3/4" X 1 1/8".